Everyone wants to have a car or two, but what if you could have 76? 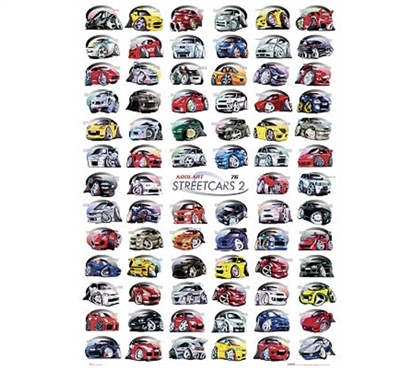 This Kool Art - Collage Poster Of Street Cars 2 gives you all those hot cars without the maintenance. College dorm rooms are constantly in dire need of fashionable wall decor. 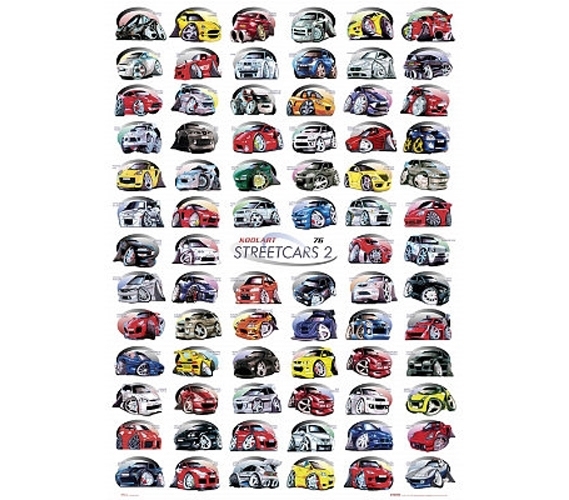 This colorful car poster gives you a rainbow of colors to add to your dorm room wall. Car posters are the best graduation gift ideas for car afficionados. You'll enjoy the wide selection of high performance automobiles stacked up in this dorm room essential. Car lovers can add this dorm room poster necessity to their college supply checklists. Be prepared to combat those boring dorm rooms with your own cheap decor decorations.